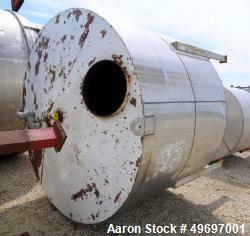 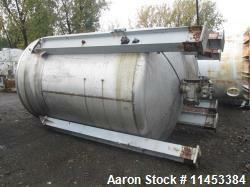 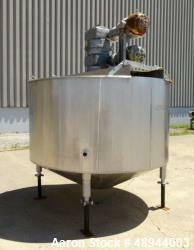 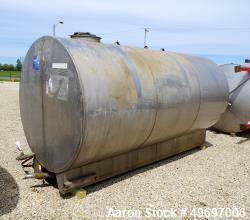 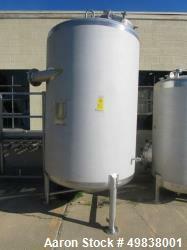 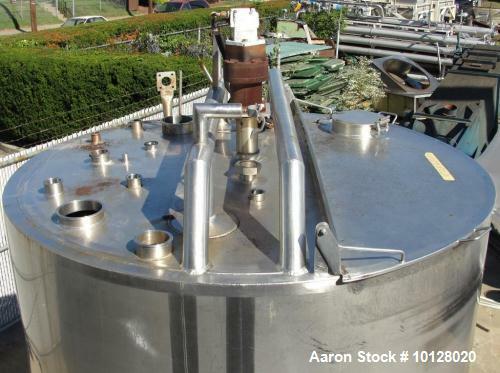 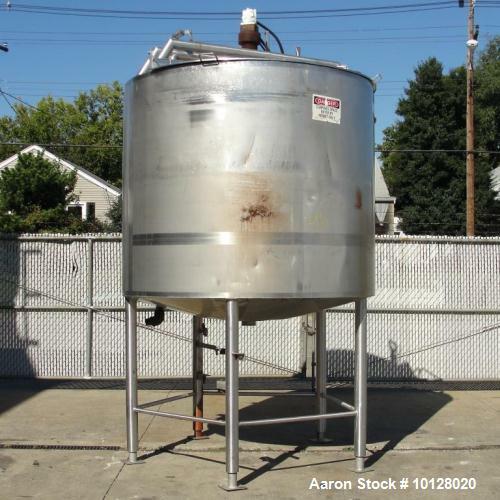 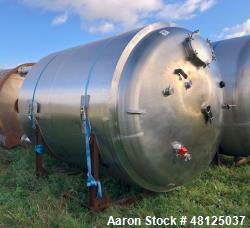 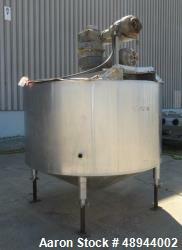 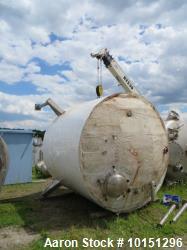 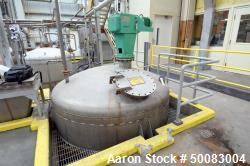 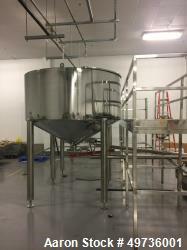 Used- Walker 1,000 gallon Vertical Stainless Steel Mixing Tank. 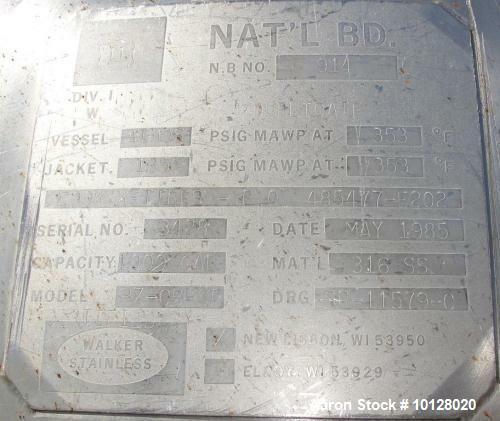 This tank is jacketed but jacket is bad. 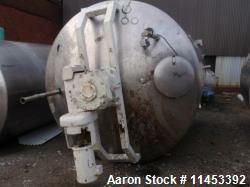 Tank has a flat top and dish bottom. 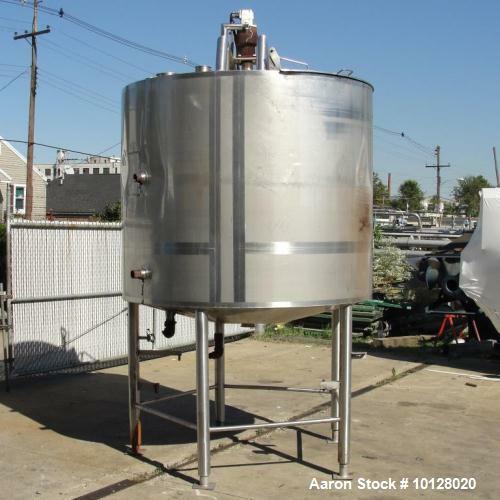 The tank diameter is 72", the overall height is 140", the straight side height of the tank is 60", Tank has a dish bottom. 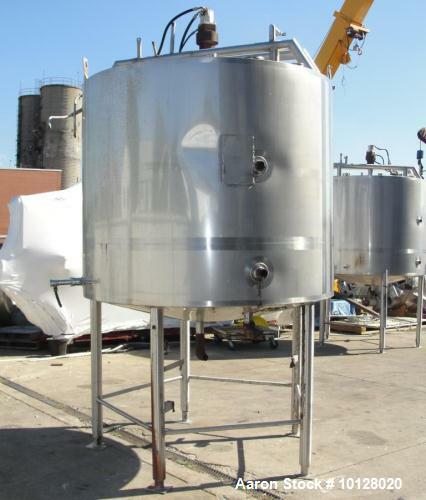 Top has a 1/3 hinged lid with a 9" inlet, (2) 6" sanitary Tri-Clamp inlet, (1) 4" sanitary Tri-Clamp inlet, (1) 3" sanitary thread inlet, (1) 2.5" sanitary Tri-Clamp inlet, (4) 2" sanitary Tri-Clamp inlets, (1) 1.5" sanitary Tri-Clamp inlet, hydraulically operated agitator with combination side scrape and paddle agitator. 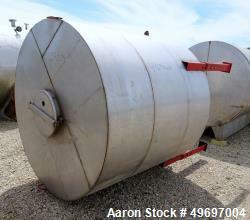 (No hydraulic power pack.) 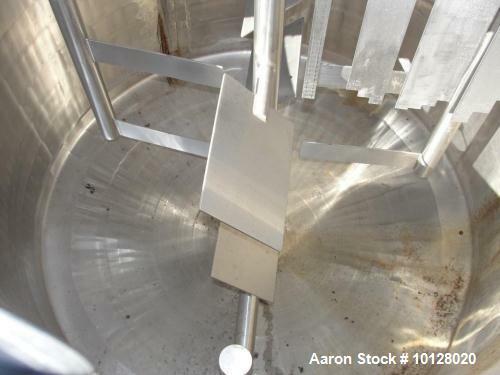 The bottom has a 3" sanitary Tri-Clamp center with a discharge height of 41" from the ground. 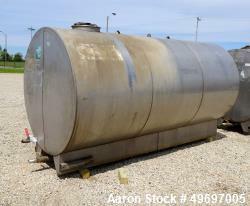 Overall dimensions are 78" wide x 78" long x 140" tall.